While some conservationists target the demand for ivory products in hotspots like the U.S. and China, others are looking to the middle man to take responsibility for what he's selling. A group of African and international organizations has set a target on Rakuten, an e-commerce company based in Japan that is also the sixth largest Internet company in the world. Conservationists argue that Rakuten, which offers ivory products on its website, fuels the demand for ivory -- and the demand for poaching elephants. 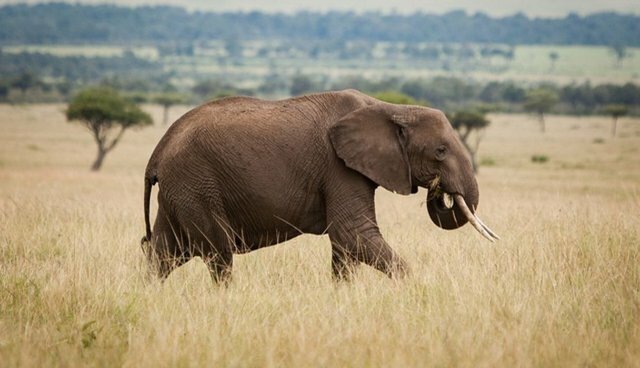 "We appeal to Rakuten to help protect Africa's elephants by banning all ads offering ivory for sale on its Japanese website," said Iain Douglas-Hamilton, Founder and CEO of Kenya's Save the Elephants in a release. "With so many African elephants being killed for their ivory, it is vital to reduce demand for ivory in Japan." In its code of ethics, the company states its goal to "staunchly reject any request to engage in illegal or morally questionable activity" -- a tenet that clearly conflicts with the sale of ivory. Other groups involved included the Cameroon-based Last Great Ape Organization, WildlifeDirect, Humane Society International, the David Sheldrick Wildlife Trust and the Environmental Investigation Agency.